In recent years the terms internationalisation, indigenising, decolonising and Africanising have circulated in discourses on curriculum both internationally and in South Africa. Recent student protests in South Africa have precipitated a particular interest in decolonising of the university curriculum. As a consequence, we are witnessing contestations on the topic in scholarly journals and books, and in the popular media. The concept decolonisation of the curriculum has also been bandied around loosely by some students, eliciting criticism on the lack of clarity about the idea. 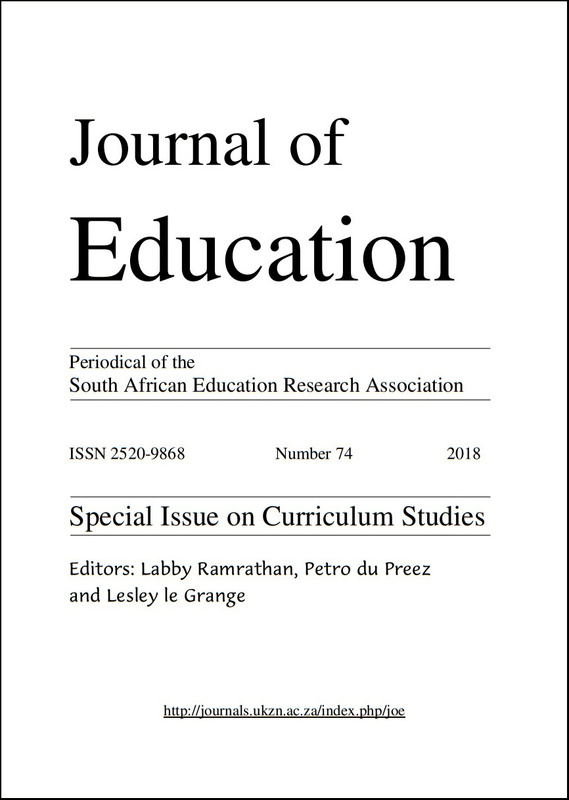 The field of Curriculum Studies in South Africa has been characterised by a focus on banal matters related to the national curriculum: the merits and demerits of outcomes-based education; findings of standardised tests, assessment; continuity and progression, classroom pedagogy, and so forth. The upshot of this is that the field has become hackneyed, unimaginative and not able to address bigger questions such as the ones raised in the Call for Papers of this special issue. I wish to argue in this article that the concepts internationalising, indigenising, decolonising and Africanising could be the impetus for the renewal of the field of Curriculum Studies in South Africa. In the article I shall clarify what is meant by the internationalising, indigenising, decolonising and Africanising of the curriculum. I shall discuss in which ways the concepts are disparate and explore what are the conceptual connections between/among them. My exploration will open up alternative ways of thinking curriculum, through viewing curriculum as complicated conversation, which could have potentially transformative effects for the field of Curriculum Studies in South Africa. The main aim of the article is to register the possibility of such complicated conversations happening in South African Curriculum Studies.